Between 2001 and 2017 we increased oil production by 38%, and gas production had a threefold increase over the last 16 years in this basin. 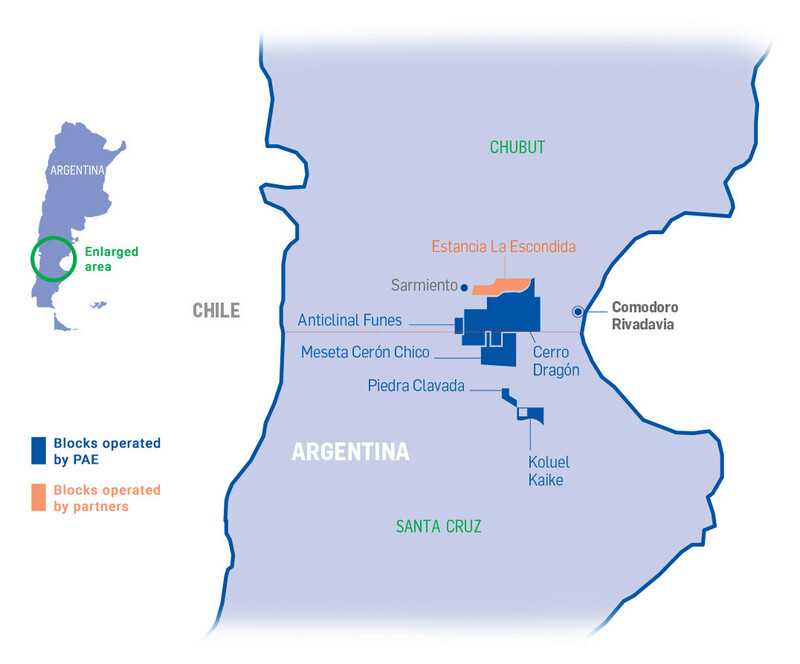 Thanks to our work in the area, Cerro Dragón has become the largest oil producing block in Argentina and the third largest gas producer in the country. 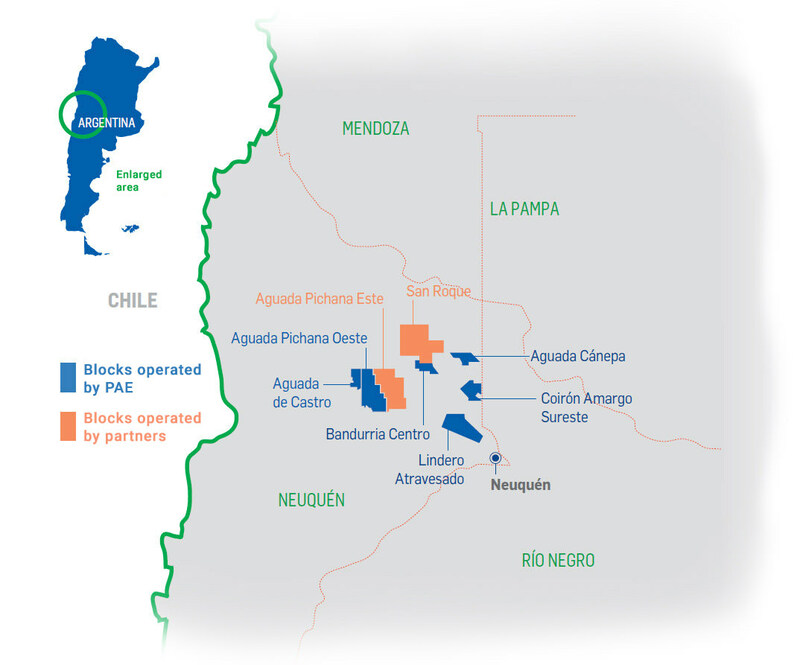 In this basin we also operate the Koluel Kaike, Piedra Clavada, Anticlinal Funes and Meseta Cerón Chico blocks, and we have a participating interest in Estancia La Escondida, a block operated by Colhue Huapi. We operate the hub of unconventional reservoirs. 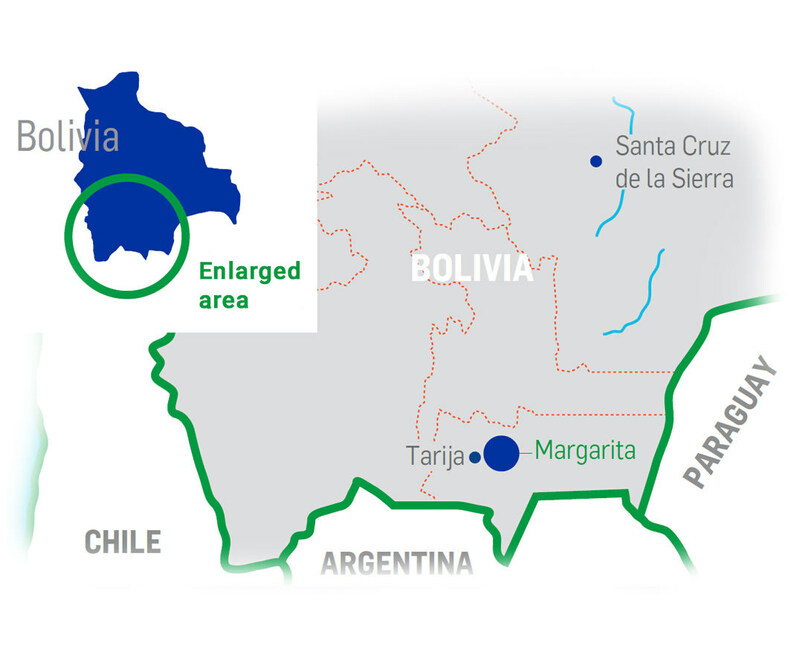 We conduct exploration and delineation activities, pilot projects and developments in Vaca Muerta and in formations located in the Cuyo Group. As a result of the increase in unconventional resources, we started implementing new drilling plans, to overcome the geological challenges with innovative techniques, and we built more surface facilities. In Neuquén we operate six blocks and we are partners in the development of other two blocks. 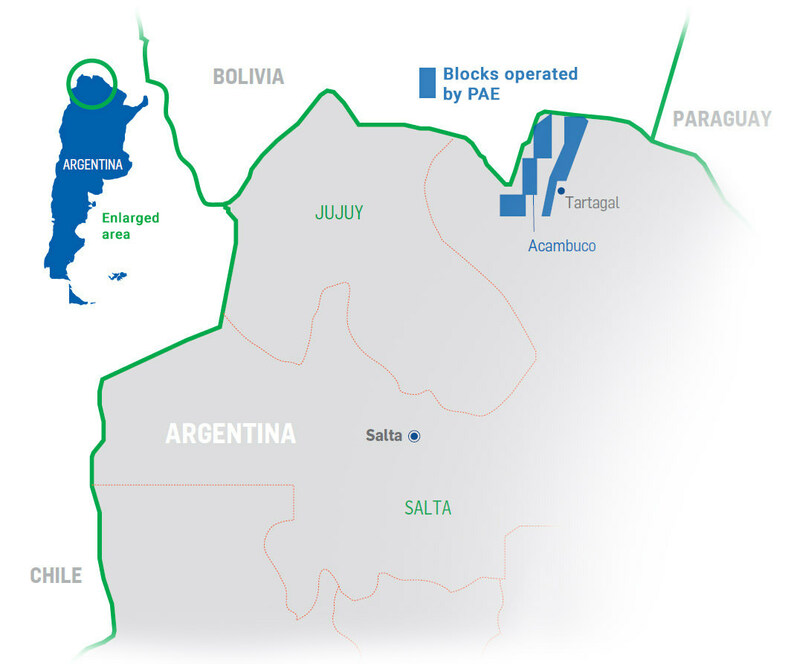 We are the leaders in natural gas production in the province of Salta. We extract hydrocarbons from the Macueta and San Pedrito fields after having overcome the complex geological and environmental challenges posed by the area. 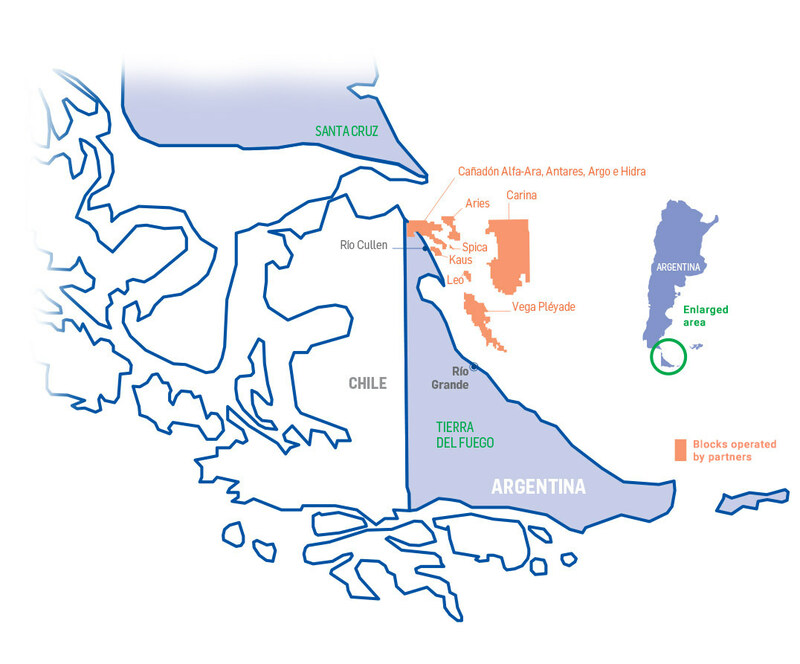 We are part of the consortium that operates the largest and southernmost offshore block in Argentina. The Marina Austral basin is the main gas producer in the country, and it is also the southernmost development. The Carina, Aries and Vega Pléyade fields are developed offshore, while Cañadón Alfa also takes up onshore land. Both developments together produced 2.9 million m3 of gas per day in 2017. We have a participating interesting in the operation of the blocks located in the shallow waters of the Gulf of Mexico. 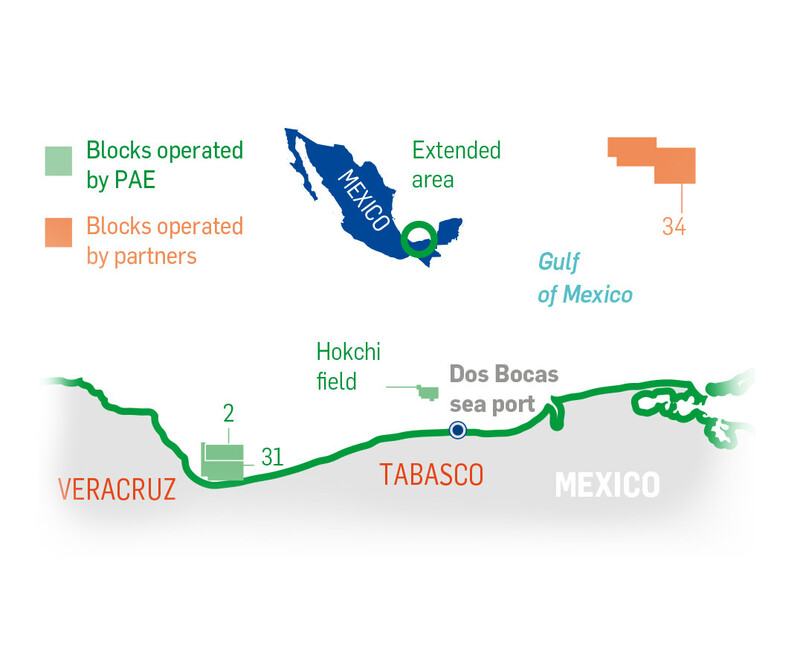 We operate the Hokchi block and Area 31, and we are part of the consortium that was awarded Area 34, partnering with Total E&P Mexico and BP Exploration Mexico. We are the first private company to drill in shallow waters and to generate revenue for the Mexican government by means of a shared production agreement. Also, we were the first private operator whose Development Plan was approved by Mexico’s National Hydrocarbons Commission (CNH), after the country’s Energy Reform. Since 2000, we have been part of the development of the largest gas field in the country, Margarita-Huacaya, in the Caipipendi block. This area poses huge challenges: it is hard to access, has a complex geology and hydrocarbons located at great depths, and it is environmentally sensitive. However, the project has exceeded expectations regarding the production volume of natural gas estimated at the beginning of the project.